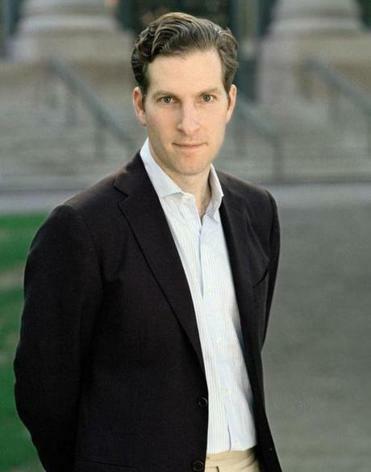 In 2008, Esquire Magazine named Harvard law professor Noah Feldman, who had yet to hit 40, one of the most influential people of the 20th century. By then Feldman had clerked for Supreme Court Justice David Souter, lent a hand to writing Iraq’s new constitution, and published four books. Now Feldman has penned his sixth book, “Cool War,” which argues that the Cold War is back at a lower, but persistent temperature. BOOKS: What are reading currently? FELDMAN: I just have been reading Thomas McCraw’s “The Founders and Finance.” He teaches here at Harvard and is an amazingly clear writer. He has original things to say about material we already think we know about. I also just read “Point Omega” by Don DeLillo. BOOKS: What did you think of that? FELDMAN: Powerful but more than a little bit disturbing to me because one of the central characters is involved in Iraq. The utter emptiness experienced by the main character was not my experience when I was there. BOOKS: Have you read other novels that relate to Iraq? FELDMAN: There’s tons of nonfiction about Iraq, but not a lot of novels directly about it. There are a lot of novels related to the Middle East, like Mohsin Hamid’s “The Reluctant Fundamentalist” and Adam Haslett’s “Union Atlantic,” in which the central character is a former naval officer in the Persian Gulf. I often read novels set in the Middle East, but it’s tricky to do well. One striking thing about the DeLillo novel is it’s not set in the Middle East. It’s set in a desert in the US. BOOKS: Are there Middle Eastern writers that you like? FELDMAN: I’m super interested in fiction by Middle Eastern authors. Probably my favorite Middle Eastern writer is Abdelrahman Munif who wrote “Cities of Salt,” a trilogy about the Persian Gulf and probably the most remarkable novel about the Middle East ever written. It captures the grand sweep of what happened in the Persian Gulf, how places that were tiny backwater towns were transformed via the oil boom into these tremendous regional powers as well as unimaginably wealthy, complex places. More recently I’ve been super focused on China for my Cold War book. I read about 200 books over three years because I’m not a China expert by training. I read Ezra Vogel’s “Deng Xiaoping and the Transformation of China,” which is a stunning and important book. I read Richard McGregor’s “The Party” about China’s Communist Party. BOOKS: What would you recommend to more general readers? FELDMAN: Mark Leonard’s “What Does China Think?” and “China in Ten Words” by Yu Hua. That’s a fantastic book and quite literary. He’s a novelist though this book is a meditation on what China is like now using these 10 key phrases. The new book of interviews with Lee Kuan Yew, the former prime minister of Singapore, by Graham Allison, Robert Blackwill, and Ali Wyne is also fantastic. BOOKS: Do you read books totally unrelated to your work? FELDMAN: Absolutely. I have been reading Amitav Ghosh’s “River of Smoke,” the second novel of his trilogy. I also read the first one “Sea of Poppies.” These are off-the-charts incredible. They imagine a whole universe that is based in history, but only loosely, and is set in Southeast Asia, India, and China. Some reading for work and reading for pleasure runs together. My next book will be an intellectual biography of James Madison so I’ve been reading Henry Adams’s history of the United States, which runs to eight volumes. It’s so spectacularly well-written, so entertaining, so funny, it feels like pleasure reading. BOOKS: What will you read next? FELDMAN: I have a lot of books waiting to be read. I’m getting deeper into Madison. I have a book by Caleb Crain, “American Sympathy,” about the friendships of some of America’s best writers and thinkers. I’m interested in understanding better how the framers of the nation thought about friendship, especially about friendship between men. I am lucky because, given my work, if I’m interested in anything I can justify reading about it.